Shopping Basket from the June 2 Mill City Farmers Market - Mill City Farmers Market 2018 - Minneapolis Riverfront Neighborhoods. 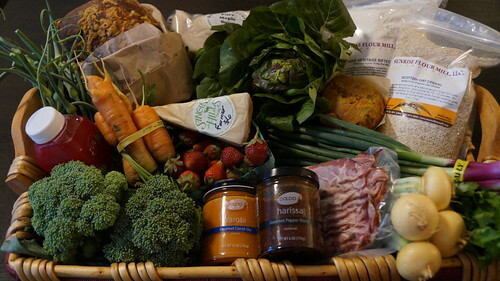 New in the basket - broccoli, strawberries and garlic scapes. Yum!